Pacar air or water henna, this plants usually used for fights cancer. 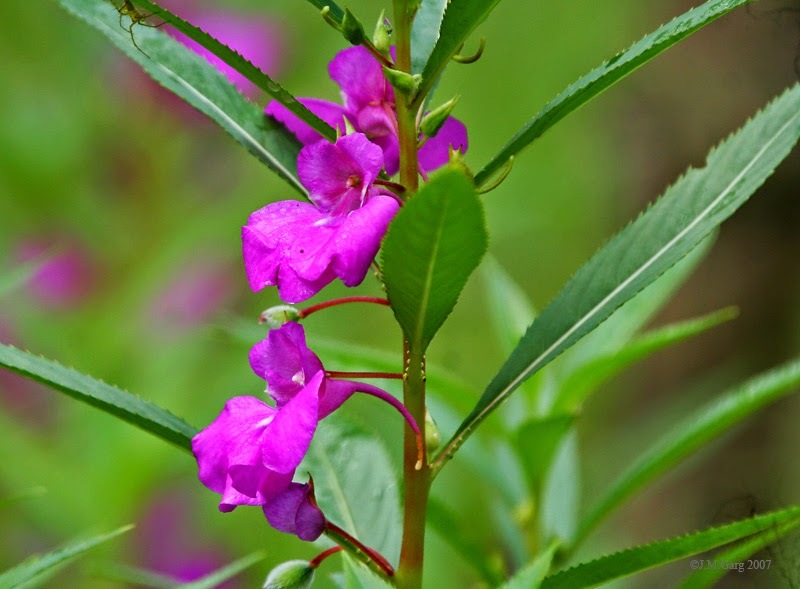 Latin name: Impatiens balsamina L.
Habitat: Growing in the yard of the house at an altitude of 1-900 m asl. Name areas: Kingpin; Banyu pacar; Toyo pacar; Lung henna; Tabo flowers; Laka small; flowers jawelu. erect herb, stem aqueous, from 0.3 to 0.8 m high. Spear-shaped leaves, up to the base of the jagged sharp, 6-15 times the size of 2-3 cm. Stemmed flowers consisting of 1-3 pieces, side 2 mm calyx funnel-shaped to resemble sloping spurs along the 20 mm. Crowned 5 sheets, 4 inverted heart-shaped hoof and the fifth off. Fruit elliptical, broken out by space suddenly. Simplesia Name: Cement balsaminae Impatiens, Impatiens balsaminae Flos. Plant part used: Seed; flowers; Leaves. Chemical Ingredients: Oil of fat; Naftokinon bond; Lawsoue. Fresh pacar air flowers 6 g; Rhizome of temu putih (Curcuma zedoaria (Christm.) Roscoe syn. Curcuma pallida Lour. (Heyne)) 6 g; jung rahab leaves (Baeckea frutescens) 4 g; 115 ml water, boil Boiled, Drink 1 day 100 ml. Seeds of pacar air 4 g; Tapak dara/Vinca leaves ( Catharanthus roseus (L.) ) 4 g; 110 ml water, boil Boiled, Drink 1 day 100 ml.